Out’n About! 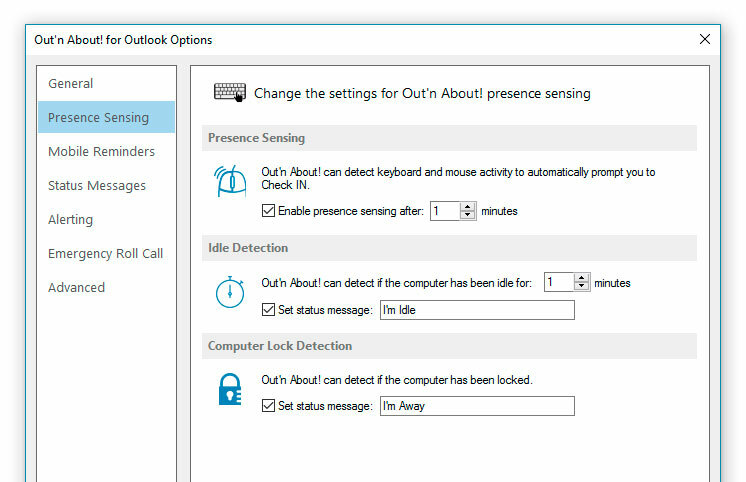 for Outlook contains a presence sensing feature that automatically alerts you when you use your computer and are currently Checked Out to ensure you have not forgotten to check In when returning to the office. Configure Out’n About! 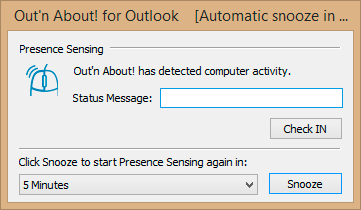 for Outlook to detect your presence and set the amount of time you want to delay presence sensing to allow you to complete your tasks before leaving your desk.